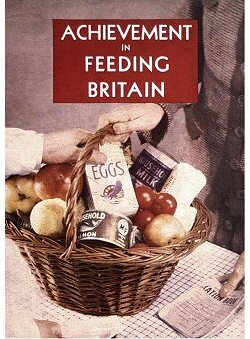 Post Card Achievement in feeding Britain - Stock Code: 01WT18. Postcard in the Robert Opie Collection card range. Our nostalgic postcard range now numbers over 300 cards, providing an unparalleled view of British consumer history. That is why they are considered by many to be collector's items. The Robert Opie Collection is the world's largest collection of British advertising images, providing a fascinating insight into the British way of life over the last 130 years.